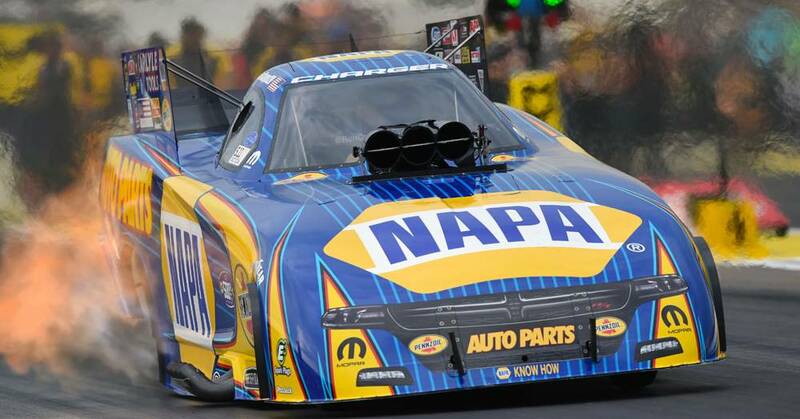 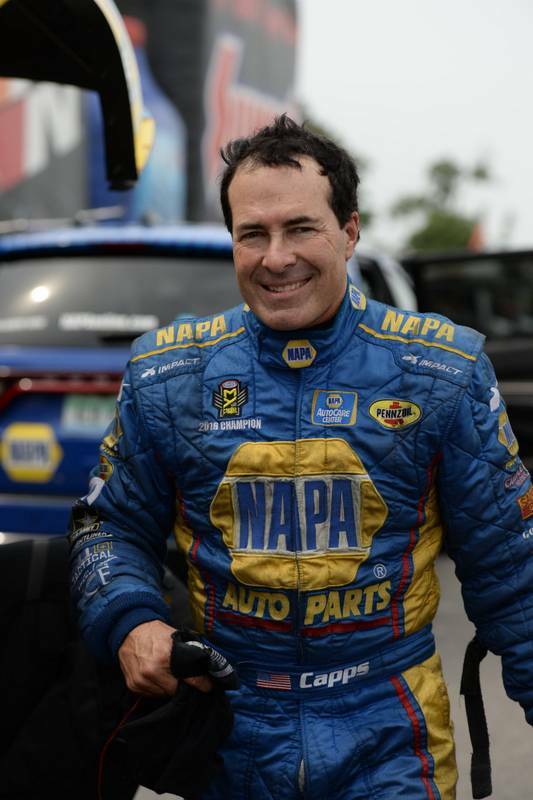 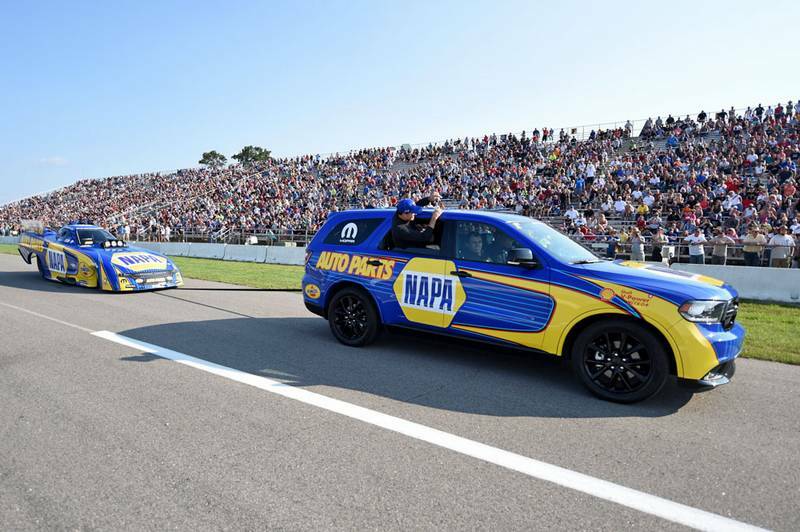 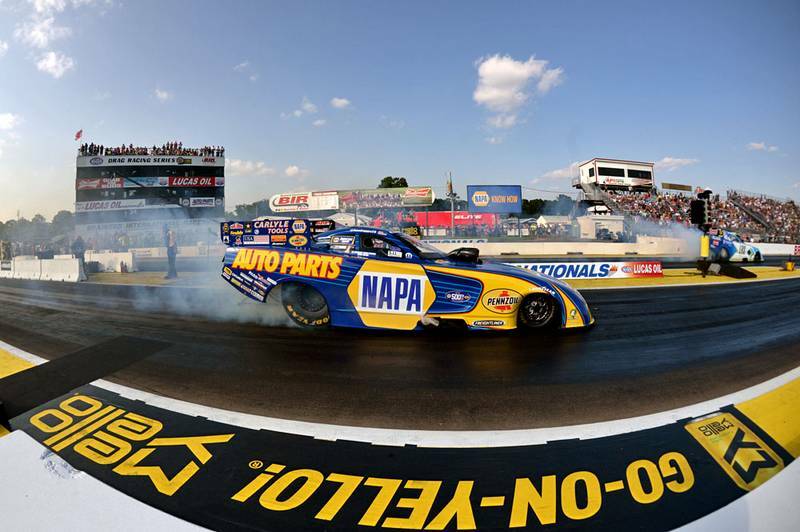 Reigning world champion Ron Capps and the NAPA AUTO PARTS Dodge Charger R/T Funny Car team lost Sunday in the second round to John Force Racing’s Robert Hight who was able to pass Capps’ Don Schumacher Racing teammate Matt Hagan for the No. 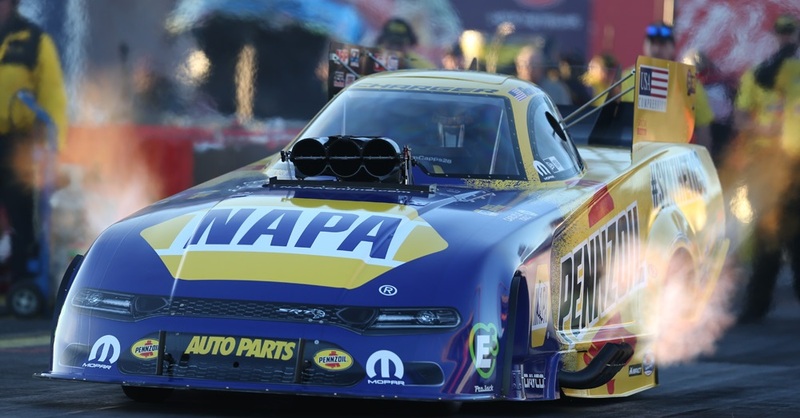 2 spot behind Capps in the championship standings in the penultimate event of the Mello Yello regular season. 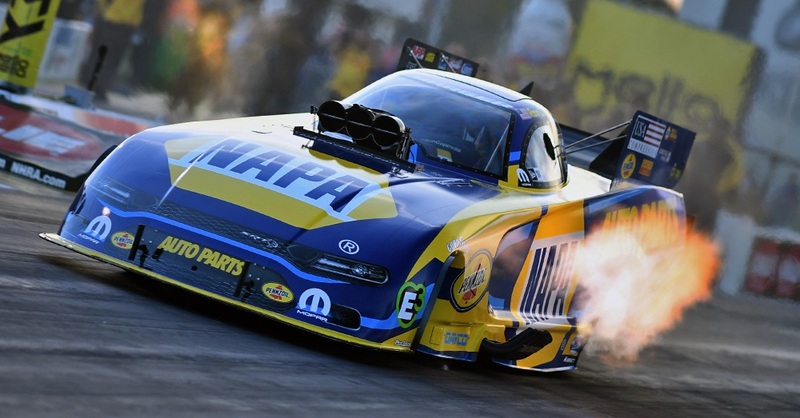 Capps, who qualified eighth for the 500th event of his career this weekend at Brainerd International Raceway in Minnesota, will carry a 116-point lead over Hight and 149 over Hagan into the U.S. Nationals. 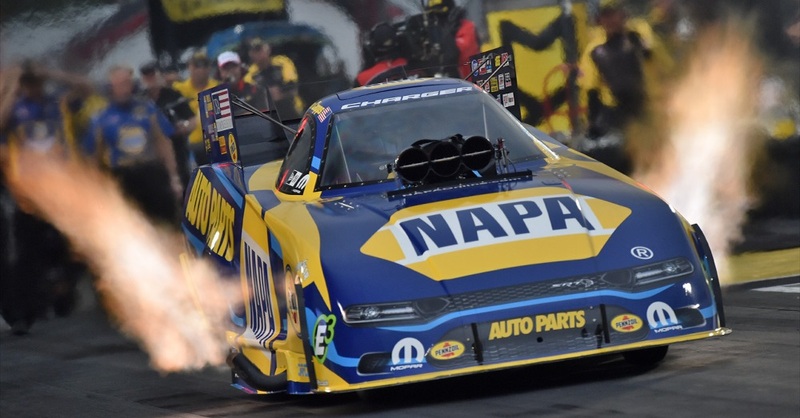 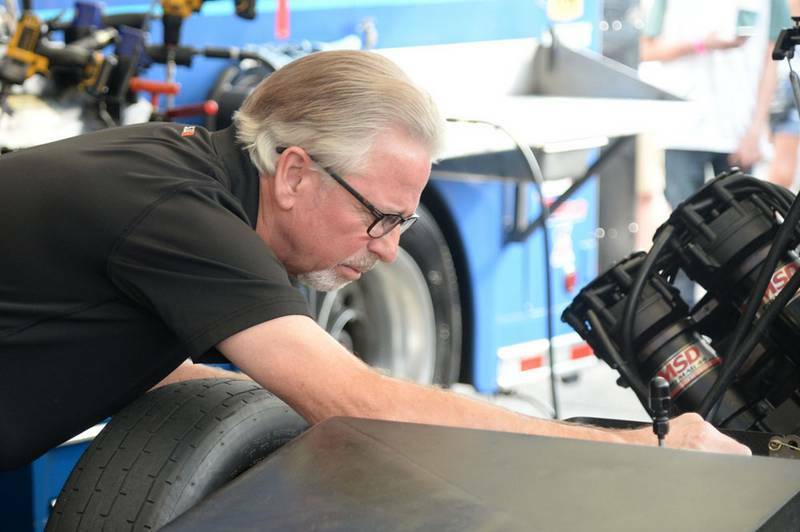 Points will be reset after the U.S. Nationals for Capps and the other nine teams that will qualify for the six-race Countdown to the Championship playoff that begins Sept. 15 at Charlotte. 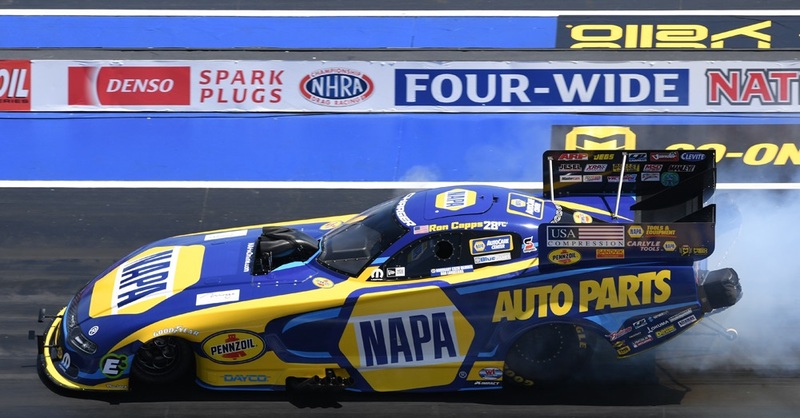 “The big points lead that we’ve had throughout the summer swing really allowed us to try some things we’ve been wanting to try under race conditions to get ready for Indy and the Countdown,” Capps said.